[S125] Rita Kopp, Kopp's Newspaper Abstracts, p. 7 of last section. [S122] H. H. Hardesty, HH Hardesty, Monroe, p. 7, last section. Robert S. Smith was born in 1852. He married Delilah Jane Denbow, daughter of Martin Denbow and Mary Ann Scott, in 1885 at Monroe, Ohio, USA. Robert S. Smith died in 1914. Solomon Smith married Sarah M. Bobo, daughter of Joshua C. Bobo and Sally Reynolds, on 3 March 1844 at Athens, Athens, Ohio, USA; Named after Athens, Greece; home of Ohio University. 1850 U.S. Census, William and Sarah Smith family. [S4] Issac Stanton Denbow, "Issac's Six Generation Chart", handwritten chart on a pre-printed genealogical tree sheet. [S122] H. H. Hardesty, HH Hardesty, Monroe, p. 29. [S21] LaMont Bankson, A Denbow by Any Other Name. William Arthur Smith Jr. was born on 24 June 1945 at Americus, Sumter, Georgia, USA. He died on 29 October 1976 at age 31. [S3] Clarence D. Bowser, "Oliver-Gilbert-Masters Chart." Wilma Grace Snider was born on 27 December 1911.1 She married Ardyce Saul Bowling on 24 August 1935. Her married name was Bowling. Wilma Grace Snider died on 15 January 2005 at Columbus, Franklin, Ohio, USA, at age 93. Sebastian Snyder was born in 1871 at Jefferson, Pennsylvania, USA. He married C. Viola Doney, daughter of Daniel D. Doney and Susannah Holben, on 4 July 1889 at Jefferson, Pennsylvania, USA. Sebastian Snyder Occupation: Laborer (see notes for Viola Doney). Guðrun Jónsdottir was born on 18 October 1915 at Iceland. 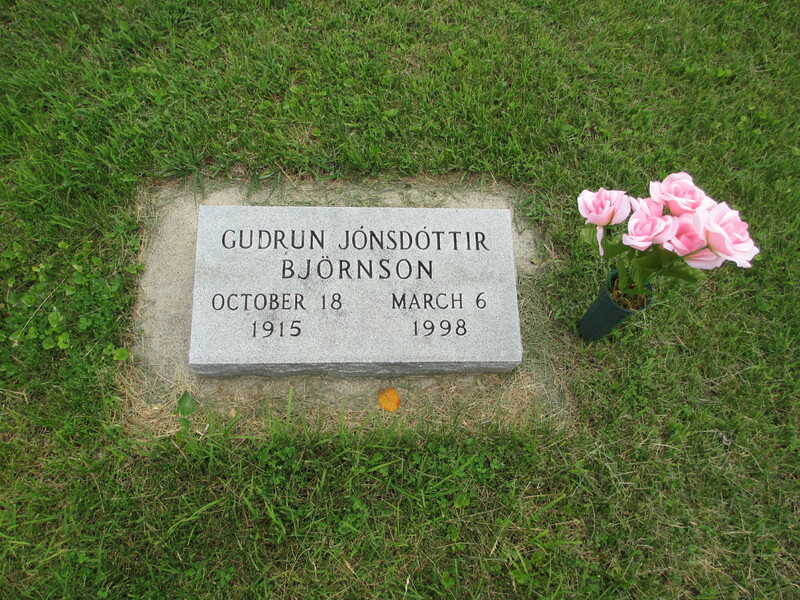 She married Kristjan Valdimar Björnson, son of Gunnar Björn Björnson and Ingibjörg Augustine Jónsdóttir, on 20 February 1945.1 Guðrun Jónsdottir also went by the name of Gulla. Her married name was Björnson. She died on 6 March 1998 at Minneapolis, Hennepin, Minnesota, United States, at age 82. [S114] Edda Connell, "Edda's Research," e-mail to Carl Jón Denbow. Hiram E. Somerville was born in 1892. 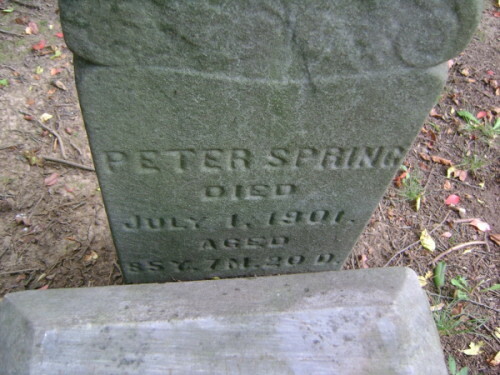 He Died at age 76 years. He died in 1969. He was buried at New York, USA. Amy Sommer married Jarrett Bobo, son of Nehemiah G. Bobo and Nancy Wood, on 18 March 1884. Her married name was Bobo. Jennie Reynolds Sommers married Francis Marion Bobo, son of Nehemiah G. Bobo and Nancy Wood, on 27 November 1907 at Hocking, Ohio, USA. Her married name was Bobo. Jennie Spence was born in 1871 at Monroe, Ohio, USA.1 She married Basil E. Denbow, son of Levi Denbow and Rachel Morris, in 1891 at Monroe, Ohio, USA. Her married name was Denbow. [S10] Thomas W. Thompson, Thompson Genealogy. Susannah Spohn was born in 1795. She married Christian Haldeman, son of John Haldeman, in 1813 at Pennsylvania, USA. Her married name was Haldeman. Susannah Spohn died in 1863 at Pennsylvania, USA. [S11] Letters and emails, Mary Lou Deetz to Carl Jón Denbow, 1993-present. [S171] Mark Fletcher, "Mark's research." Frank Stallings was School Teacher. He was buried at Westerville, Franklin, Ohio, USA. [S86] Susan Sharp, "Susan Sharp's Research Notes." Maria M. Buchanan Stanley was born on 7 February 1840. She married Jarvis Newton Bobo, son of Jared Bobo and Lavinia Kanny, in 1876. Her married name was Bobo. Maria M. Buchanan Stanley died on 17 December 1909 at age 69. Nellie Stanley was born in 1870. She married Samuel Richard Sherer, son of Francis M. Sherer and Margaret Jane Henderson, on 20 December 1888 at Crawford, Ohio, USA. Nellie Stanley According to the Sharp family Bible kept by Maude Elsie Sherer SharpNellie died 2 February 1895 at 1:00 P.M. on a Friday, aged 24 years,10 months, and 9 days. Her married name was Sherer. She died on 2 February 1895. Sarah Catherine Starkey was born in March 1899 at Washington, Ohio, USA.1,2 She also went by the name of Catherine.2 She married Lauence Smith on 23 May 1916 at Washington, Ohio, USA.3 Her married name was Smith. [S45] Mabel V. Ingraham, "Ingraham Family Tree", It was left for me at the Hotel Lafayette at the Denbow Reunion in 1996. I never actually met Mrs. Ingraham. [S189] Gilda Haddox, "Gilda Haddox's Research Notes." [S18] Gilda Haddox, "Gilda Haddox Email," e-mail to Carl J. Denbow, Various.